We’re having cold, drizzly, and damp weather in my area. I suppose it’s okay, since it is the middle of December and all, but really…is a little more warmth too much to ask? It’s the kind of weather that makes you crave a Hot Toddy. 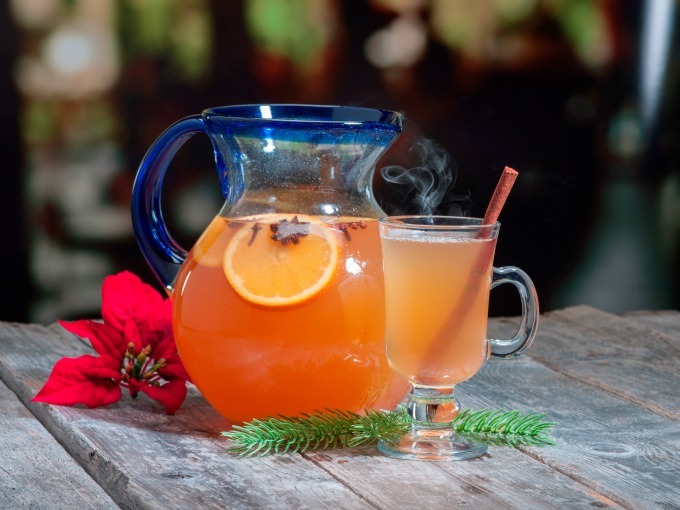 Hot Toddys are the traditional winter cocktail that has whiskey, honey, and some spices. It’s sometimes made with tea, as well, and was believed to help cure what’s ailing you. 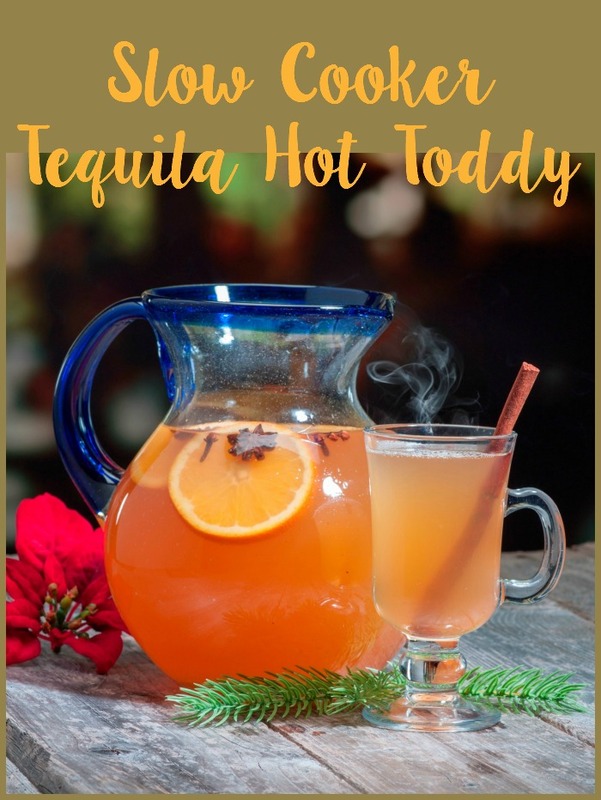 This slow cooker Tequila Hot Toddy has the modern twist of a tequila addition and being made in a slow cooker. That’s a total win, especially for a large gathering. This recipe calls for cinnamon sticks. You want to make sure the ones you get are food grade. These cinnamon sticks are a great brand. If you don’t have a spare slow cooker, this 7 qt one from Crock Pot will really serve you well. It’s super affordable, too. A modern twist on the classic Hot Toddy cocktail. make a big batch in the slow cooker to keep it warm for everyone throughout the night. It's a perfect party drink. Heat water in slow cooker until hot or boiling. Place cinnamon sticks, cloves and orange wheels in the slow cooker for added flavor. Add first five ingredients to hot water in the slow cooker. Serve in glasses with a cinnamon stick for garnish. Check out our other 12 Days of Cocktails, too.